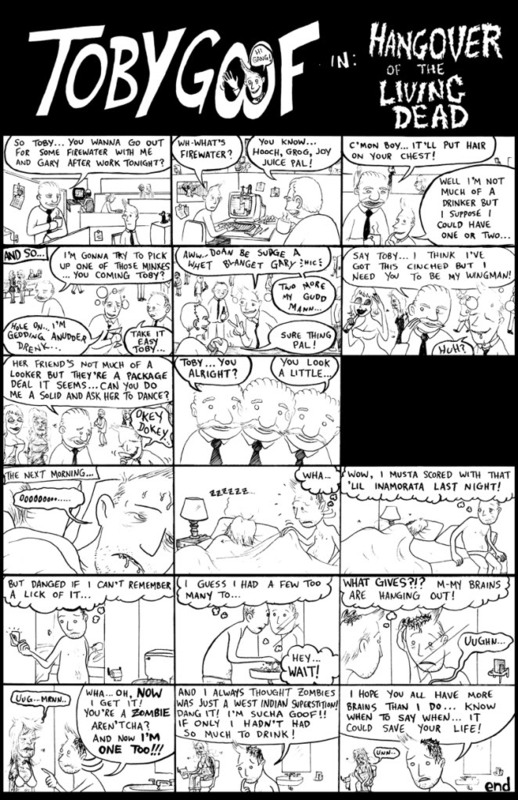 This entry was posted on Sunday, October 31st, 2010 at 11:40 pm and is filed under Art, comic. You can follow any responses to this entry through the RSS 2.0 feed. Both comments and pings are currently closed. Jason, sometimes I worry about you, but then there are other times I… well, really worry about you. As with all your work, this is brilliant! You’re like a macabre Bill Waterson, if he were insane. Keep up the great work! And to paraphrase Wheeler in an earlier comment, don’t keep us waiting so long between postings! Drunken one night stand sprinkled with zombie fun. Good stuff!